Government is wrong in downplaying the contribution of the Tax Reform for Acceleration and Inclusion (TRAIN) law on recent big-time oil price hikes, research group IBON said. The price of fuel products combined with the TRAIN increased since year-end 2017 to Php10.20 per liter for diesel, Php11.41 for kerosene, and Php15.14 for gasoline this week. These prices now include excise taxes and value-added tax (VAT), respectively, said IBON. The price of diesel has increased to Php41.70/liter from Php31.50 at the start of the year, for instance, while the price of kerosene has increased to Php50.40/liter from Php38.99/liter as of year-end 2017. The price of gasoline is now Php56.47/liter from Php41.33 as of year-end 2017. The adjustment in the price of oil products has been attributed to the increase in the Mean of Platts Singapore (MOPS) prices and changes in the PH Peso–US Dollar exchange rate. MOPS for gasoline prices has had a net increase of US$7.91/barrel and a net increase of US$5.92/barrel for diesel during the same period. The exchange rate of the Philippine Peso to US Dollar did not help lessen oil prices as the peso depreciated against the US dollar by Php2.42 also in the same period. One of the formulas by the Department of Energy (DOE) assumes a Php1.00/liter change in domestic oil price for every US$3.00/barrel change in MOPS. IBON however observed that applying this formula does not reflect the steep hike in oil prices. Moreover, according to IBON’s executive director Sonny Africa, TRAIN’s new and higher taxes aggravate and intensify the impact of these oil price hikes. The TRAIN law adds new excise taxes on diesel and kerosene and raises excise taxes on gasoline. TRAIN imposes a new Php2.50 liter excise tax on diesel and Php3.00 per liter on kerosene, while increasing that on gasoline by Php1.65-2.65 to Php7.00. The final taxes imposed are even higher because the 12% VAT is also applied to them. Thus, of the net increase in the prices of diesel, kerosene, and gasoline, TRAIN has added Php2.80, Php3.36, and Php1.85/2.97 to the price of every liter, respectively. This means that TRAIN’s taxes accounted for one-fourth of the increase in the prices of diesel and gasoline. 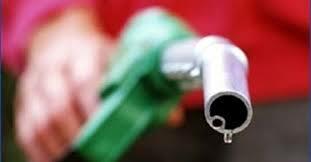 TRAIN keeps increasing the excise tax on oil products and by 2020 they will have permanently added Php6.72/liter to the price of diesel, Php5.60/liter to the price of kerosene, and as much as Php6.33/liter to the price of gasoline. “Real wages are stagnant at very low levels and TRAIN’s new taxes and inflationary impact are an unnecessary additional burden on the majority of Filipinos who are low-income earners,” said Africa .